Under the relevant law enacted last April, the levy will be collected each time an individual leaves the country, and comes on top of airfare, ship fare and travel fees. The government plans to utilize the revenue from the tax for measures to accommodate more foreign visitors to the country, develop tourism bases and improve immigration procedures, officials said. 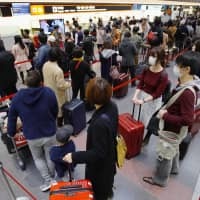 People leaving Japan within 24 hours of their transit entry and children under 2 years old will be exempted from the departure tax. Those with tickets purchased and issued before Monday will be basically exempted from the tax. The revenue from the tax is estimated to hit ¥6 billion in fiscal 2018 through March 2019 and ¥50 billion in fiscal 2019. Specifically, the revenue will be used to set up facial recognition gates at airports for speedier immigration procedures, while also promoting the use of multilingual information boards and helping introduce more cashless payment terminals for public transportation. The number of visitors to Japan has surged in recent years, topping 30 million for the first time ever in 2018. 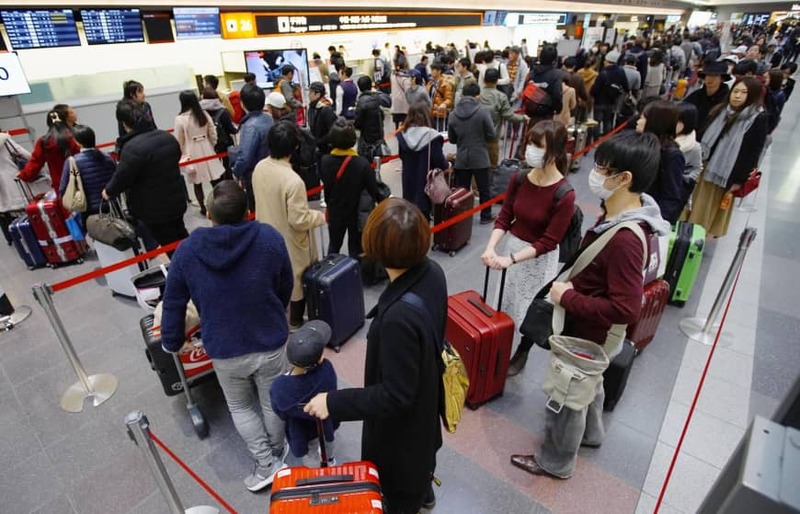 The government has set a goal of increasing the annual number of foreign visitors to 40 million by 2020, when the Tokyo Olympics and Paralympics will take place.